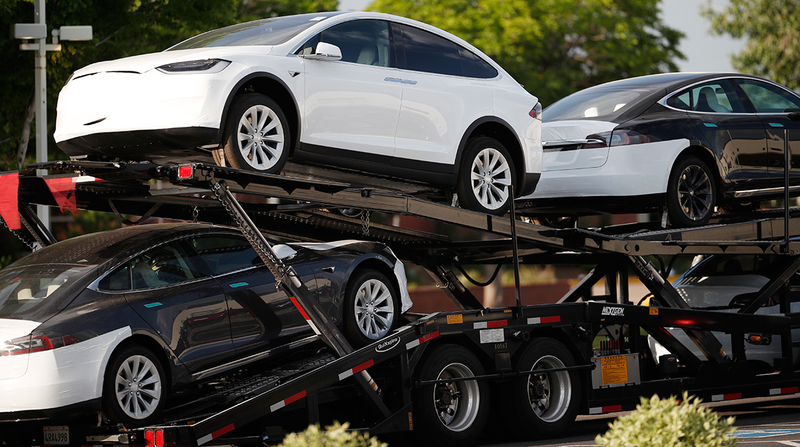 Elon Musk is doing everything he can to speed up deliveries of the Tesla Model 3, including the tantalizing prospect that he may have purchased a trucking company to augment capacity provided by existing vehicle haulers. The Tesla CEO took to Twitter and described the effort to deliver as many cars as possible before the end of the year when the federal tax credit of $7,500 for the purchase of electric cars is slated to be cut in half. “Tesla just acquired trucking capacity to ensure Model 3 can be delivered in U.S. by Dec. 31 if ordered by Nov. 30,” Musk said in a tweet on Nov. 15. When asked to elaborate, he replied, “We bought some trucking companies [and] secured contracts with major haulers to avoid trucking shortage mistake of last quarter." In a series of follow-up tweets, Musk explained the rationale for using trucks instead of railcars to make deliveries. Part of the issue for all car haulers is a lack of rail capacity, according to Bob Farrell, executive director of the Automobile Carriers Conference of American Trucking Associations. Vehicle delivery and logistics have been major issues for Tesla as production of the Model 3 has ramped up in recent months. Tesla delivered 56,065 Model 3s to customers in the third quarter, according to a filing with the U.S. Securities and Exchange Commission. Total vehicle deliveries were almost 70,000, generating revenue of $6.1 billion in three months ended Sept. 30. “Vehicle delivery and logistics were our main challenges in Q3 as our delivery system went through a similar ‘ramp’ to what our production system went through in Q2,” the company stated in the filing. One of the changes made in the quarter was to expand the number of direct deliveries where an employee delivers vehicles to the front door of a customer’s house or office.